Bennett, Sheri. 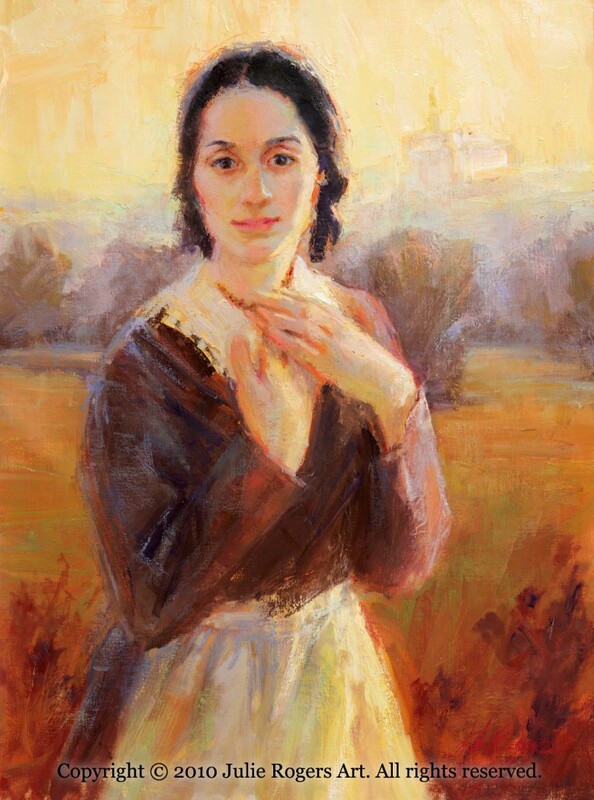 “Artist Julie Rogers Experience With Painting Emma Hale Smith.” Joseph Smith Jr. Joseph Smith and Emma Hale Historical Society. 30 September 2010. Web. 13 Nov. 2010. This is absolutely wonderful!! You’ve shown Emma in an intimate, yet open way that I’ve never seen her in before. I’m sure many are delighted by this beautiful piece of artwork. Thank you SO MUCH for sharing the gorgeous piece you did for Heartland today at their performance. You are so very talented and your artwork brings light and joy to the heart.